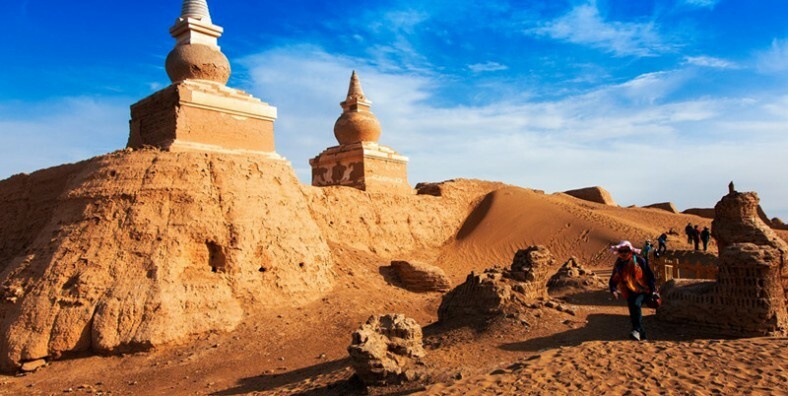 During this 7 Days Inner Mongolia Tour, you will photograph the Jvyanha, Black City Ruins, Guaishulin and Ejina diversifolius poplar trees at Eejina Qi, then transfer to Alax Youqi and take a roundtrip hiking from Desert Geography Park to Badain Lake. Photograph the Jvyanha, Black City Ruins, Guaishulin and Ejina diversifolius poplar trees. Take a roundtrip hiking from Desert Geography Park to Badain Lake. Arrive at Erjina, transfer to hotel. 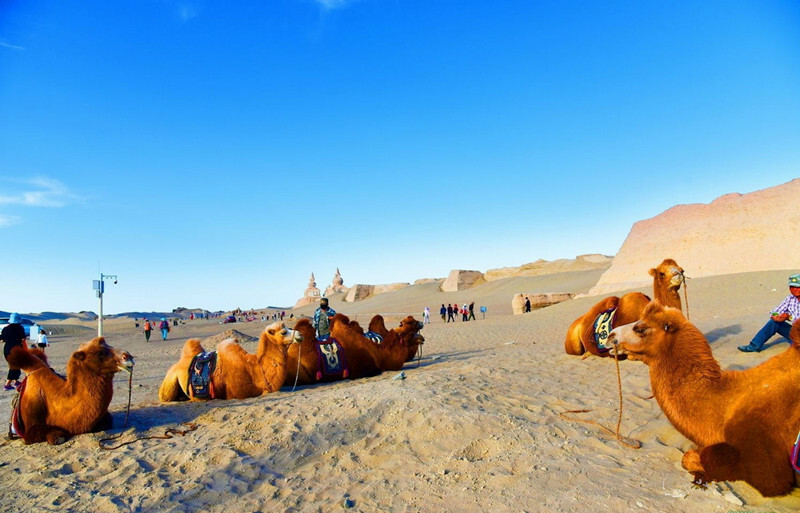 Ejinaqi is a town under the jurisdiction of the Inner Mongolia Autonomous Region Alashan, located in the Northwest of Inner Mongolia Autonomous Region, with an area of 114606 square kilometers and a permanent population of 34 .3 thousand(in 2015). The territory is mostly uninhabited desert areas. Transfer to Jvyanhai to take picture of sunrise. then move on to visit the Black City Ruins. 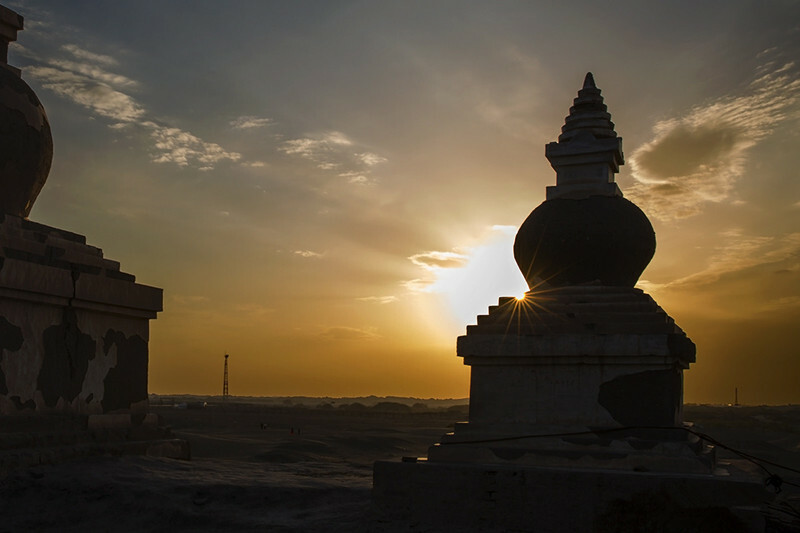 The Black City Ruins is famous all over the world for the significant military passing along Silk Road in Han, Tang, Xixia and Yuan Dynasties. After lunch, move on to Guaishulin to shoot the sunset. ”Guaishulin” is formed by numerous dead poplar trees. After breakfast, the whole day to take the Ejina diversifolius poplar trees. The poplar trees change colors with seasons – green in spring and summer, yellow and golden on autumn, and red in winter. The Euphrates Poplar trees (Also known as Diversifolius Poplar) turning yellow in the deep summer offer a great photograph opportunity. Departure for Alax Youqi. It will be around 6 hours on the way. After arrival, free afternoon for short walking and adapting to the desert environment. Trekking start at 9:00 o’clock and arrive at Badain Lake around 16:00. Then camp after short break. Enjoy the sunset, sand sliding, beach soccer, and campfire party at night. Note: no phone signal but supply the fresh water. We begin to cross the desert at 10 o’clock, and arrive at the entrance of desert around 16:00. Trekking tour ends. 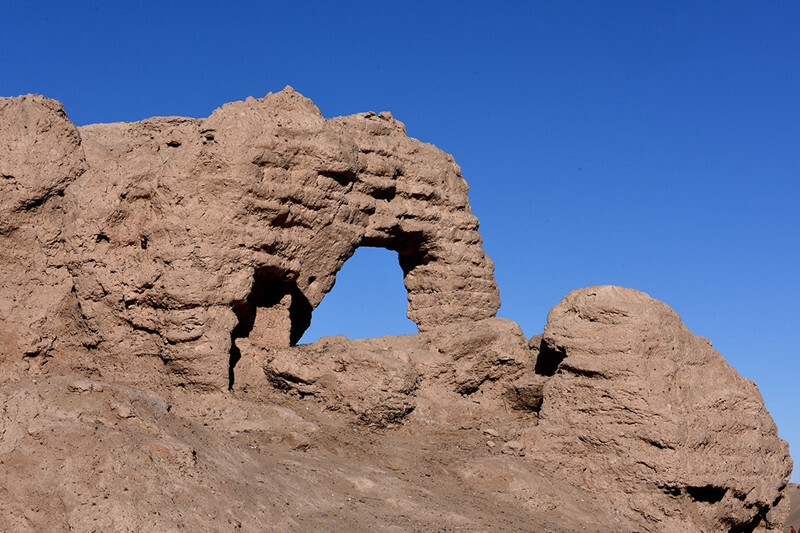 After breakfast, tidy up the equipment and head to visit the Desert Geological Museum, then return to Alax Youqi. Service ends.